· Prince Ali Al Hussein (Jordan), FIFA Vice-President; runner-up in the previous election; re-announced his bid on 9 September 2015. · Salman Bin Ibrahim Al-Khalifa (Bahrain), President of the Asian Football Confederation; announced his bid on 15 October 2015. 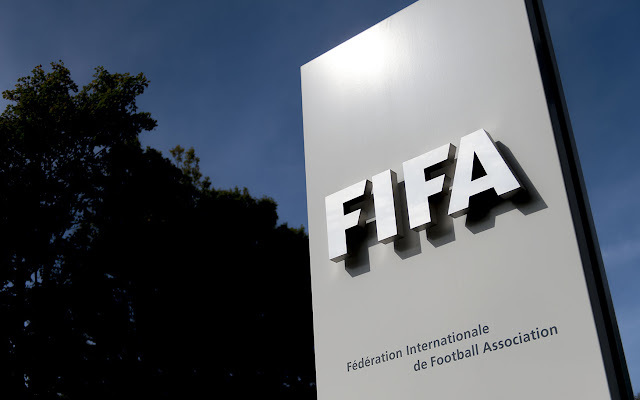 · Jérôme Champagne (France), former executive at FIFA from 1999 to 2010; announced his bid on 23 October 2015. · Tokyo Sexwale (South Africa), South African businessman; announced his bid on 25 October 2015. · Gianni Infantino (Italy/Switzerland), UEFA General Secretary; announced his bid on 26 October 2015. Mr Blatter has been President for 18 years and so the election of a new President under ordinary circumstances would be a big thing. However given that his ‘reign’ as ended in ignominy and that FIFA is about as low as it could get in terms of reputation and credibility, these elections are nothing short of monumental. It is imperative that the FIFA Membership elects the right person. Football is in desperate need of transformation. FIFA needs strong leadership from someone who can galvanize and sustain real change. It needs a person with vision, knowledge and passion and someone who can unite the many football stakeholders not least the Member Associations and Confederations. It is not a job for the faint-hearted; very strong personal characteristics will be required. Tenacity, energy, determination and a very thick skin are all pre-requisites. An excellent communicator will be required because the eyes and ears of the world will be constant companions. It goes without saying that the integrity and honesty of the President should be beyond question. The new President will also need to be a good listener, negotiator and diplomat. The ability to assess, balance and reconcile different opinions and demands is a key skill of any leader but particularly in a world-wide sport where endless diversity is both a virtue and a challenge. The reform of FIFA will be a difficult job but also what an opportunity for the right person. The recent failures within FIFA have been very damaging but there are still so many positives on which to build, not least the fact that the organization is financially sound and that there is universal desire for change. Football is and will remain the world’s most popular sport. As such it needs the best governance. Each candidate is presented below including a short biography and a summary of their manifesto. More details on each candidate can be found in their manifestos all of which can be found on the internet. Prince Ali was born on 23 December 1975 and is the third son of King Hussein, and the second child of the King by his third wife, Queen Alia. Prince Ali began his primary education at the Islamic Educational College in Amman. He continued his studies in the United Kingdom and the United States and graduated from Salisbury School in Connecticut in 1993, where he excelled in wrestling. He entered the Royal Military Academy Sandhurst in the United Kingdom. Prince Ali was commissioned as an officer in December 1994 and was awarded the Brunei Medal for serving in Brunei. Before continuing his studies in the United States, he served in the Jordanian Special Forces as a pathfinder, earning his military freefall parachute wings. He completed his undergraduate education at Princeton University in 1999. Prince Ali is fluent in Arabic, English, and Circassian. Prince Ali successfully championed the lifting of FIFA's ban on the hijab in women's football. Prince Ali was one of a number of FIFA officials to call for the publication of the Garcia Report into allegations of corruption surrounding Russia and Qatar's bids for the 2018 and 2022 FIFA World Cups. Prince Ali lost the 2015 FIFA Presidency election to Sepp Blatter after withdrawing before second round voting took place. The document prepared by Prince Ali is excellent; well written and presented. It is succinct and articulate and is based on some strong values including leadership, reform and transparency. There is a heavy focus on working to serve Member Associations and a commitment to increase the annual FAP from USD250k per annum to USD1,000k per annum. The Manifesto put forward by Prince Ali is a workable, pragmatic yet visionary document. He is undoubtedly a strong candidate with a clear strategy to reform FIFA. Prince Ali should get credit for standing against Sepp Blatter at the last election and for the dignified way with which he conducted himself during the campaign and on the day of the election. As a relatively young man he undoubtedly has the drive, ambition and energy to address the myriad problems faced by FIFA, not least restoring some credibility and faith from all stakeholders in football. Shaik Salmon was born on 2 November 1965 in Riffa, (Bahrain) and has been the President of the Asian Football Confederation (AFC) since 2 May 2013. Before his election as the president of AFC, he was president of Bahrain Football Association and also Chairman of the Asian Football Confederation Disciplinary Committee, and Deputy Chairman of the FIFA Disciplinary Committee. Shaikh Salman Bin Ebrahim Al Khalifa is a member of the Bahrain Royal Family. He graduated from University of Bahrain in 1992 with a bachelor's degree in English Literature and History. Shaikh Salman has been involved in football for many years dating back to the 1980s when he played in the youth team of Bahrain Division I team, Riffa Club. Since leaving Riffa Club to focus on his academic studies, Shaikh Salman has held executive positions at the BFA. In 1996, he was appointed Chairman of the National Team, elected Vice President two years later and eventually became the Football Association’s president in 2002. He has also served as the Co-Chairman of the Disciplinary Committee at several FIFA Tournaments such as, the FIFA World Cups, FIFA Beach Tournaments, FIFA Club Championships, etc. He was also Deputy Chairman of the FIFA Disciplinary Committee at Beijing in 2008. On 15 October 2015, Sheikh Salman announced his candidature to become the next president of FIFA after the election of February 2016. His candidature has aroused some criticism in certain quarters from human rights organizations for allegedly heading a committee that identified 150 athletes, including international footballers, involved in pro-democracy demonstrations in 2011. He strenuously denies the allegations. The Manifesto of Shaik Salmon as would be expected contains many of the themes set out by all candidates. The sub-title of the document says it all ‘World Football – Redefined, Restructured and Revitalised’. If elected, Shaik Salmon intends to adopt a less hands-on approach than previous Presidents and will appoint a CEO to report to him. He also intends to restructure FIFA to separate the ‘commercial’ interests from the ‘football programme’ interests. Under his leadership there would be a focus on; grassroots football, technical activities, women’s football, infrastructure development, ‘soft’ programmes and social responsibility. The document confirms the need to strengthen relationships with Member Associations and implies that future financial support will be ‘needs-based’. There is no mention of specific financial support to MAs. Again as expected there is much in the document to do with improved governance of FIFA, accountability and integrity. Shaik Salmon envisages a less political and more inclusive FIFA. As President of the AFC, Shaik Salmon is sure to get significant backing. With his experience, contacts and track record, he is a strong candidate and if appointed will surely oversee a radical transformation of FIFA. Mr Champagne was born on June 15, 1958 in Paris and is a former French diplomat who served from 1983 to 1998, and then became a consultant in international football, serving as an executive at FIFA from 1999 to 2010. He transitioned from diplomacy to football as a result of the 1998 FIFA World Cup, where he was Diplomatic Advisor and Chief of Protocol of the French organizing committee. He then joined FIFA where he successively held the positions of international adviser to the President (1999–2002), Deputy Secretary General (2002–05), Delegate of the President (2005–07) and finally Director of International Relations (2007–10) during the terms of President Sepp Blatter. He left FIFA in 2010 and became football commissioner for the World Festival of Black Arts in Dakar (2010) and an adviser to the Palestinian Football Federation (PFA) and the Palestine Olympic Committee (POC), the Football Federation of Kosovo, the Cyprus Turkish Football Federation (CTFA) and finally the Congolese football club TP Mazembe of Lubumbashi. During the eleven years spent in FIFA, Mr Champagne followed sport-political issues, relations with FIFA member associations as well as specific projects such as the FIFA Centennial, FIFA's relations with governments and the European Union including the defense of the specificity of sport at the EU, the Win in Africa with Africa initiative, FIFA's support for Palestinian football, the improvements in FIFA's relationship with FIFPro for the good of the governance of world football, the development of CIES Football Observatory, and FIFA's relations with the International Olympic Committee and other international federations. It is interesting that the number 1 priority is strengthening the role of the Member Associations. Mr Champagne also envisages a more inclusive FIFA with closer working ties with MAs. This would include establishing a new Division within the FIFA Secretariat especially for this purpose. Mr Champagne advocates doubling the FAP given to each Member to USD500k. The Champagne Manifesto is also well thought through and progressive. He has a lot of football-related experience and a deep knowledge of FIFA, both good and bad. Mr Sexwale was born on 5 March 1953 and is a South African businessman, politician, anti-apartheid activist, and former political prisoner. A charismatic leader, Sexwale was imprisoned on Robben Island for his anti-apartheid activities, alongside figures such as Nelson Mandela. After the 1994 general election—the first fully democratic election in South Africa—Sexwale became the Premier of Gauteng Province. Later, he served in the government of South Africa as Minister of Human Settlements from 2009 to 2013 was a member of the organising committee for the 2010 FIFA World Cup, which was held in South Africa. Following the World Cup he was picked by FIFA to join its Fair Play Committee and act as a FIFA ambassador against racism. Mr Sexwale proposes a much more active role for the President than for example Shaik Salmon. It is clear that he would be very hands on and it is also very clear that he would look to refocus the distribution of FIFA resources to ‘developing’ countries, particularly in his native Africa. There has been some speculation in the media that he will withdraw his candidacy prior to the election but at the time of writing this has not happened. Gianni Infantino was born on 23 March 1970 in Brig, Switzerland. He is of Italian origin. He studied law at the University of Fribourg (Switzerland) and speaks Italian, French, German, English, and Spanish fluently. Prior to joining UEFA, Gianni Infantino worked as the Secretary General of the International Centre for Sports Studies (CIES) at the University of Neuchâtel, having previously been an adviser to a variety of football bodies in Italy, Spain and Switzerland. Gianni Infantino is currently the General Secretary of UEFA, a position he has held since October 2009. Since his appointment, he has been part of a leadership team which has helped to further strengthen both national team and club football in Europe, and UEFA's role as a respected and credible international governing body. At the helm of UEFA's administration, Gianni Infantino has intensified UEFA's work to provide a sustainable environment for European football, through initiatives such as Financial Fair Play, improved commercial support to national associations of all sizes and the development of UEFA's competitions at every level of the game. He oversaw the expansion of UEFA Euro 2016 to 24 teams and played an integral role in the conception of the UEFA Nations League and the UEFA Euro 2020 that will see the tournament take place in 13 European nations. He is currently also serving as a member of FIFA's Reform Committee. A multilingual lawyer, Gianni Infantino came to UEFA in August 2000, working on a range of legal, commercial and professional football matters, and was appointed Director of UEFA's Legal Affairs and Club Licensing Division in January 2004. Throughout this time he also led UEFA's work in fostering close contacts with the European Union, the Council of Europe and governmental authorities. He was promoted to Deputy General Secretary in 2007 and again to GS in 2009. Mr Infantino is an experienced football administrator and this has enabled him to put together a very credible and effective Manifesto. It is important to note that he pledges giving each Member Association an increase in FAP from USD250k to at least USD1.25m. This is significant. He also stresses increasing the number of team in the World Cup to 40 (6 in Asia). With his experience and vision Mr Infantino must be seen as a realistic contender, especially with the expected backing of UEFA. All five candidates have published Manifestos and not surprisingly these are all very similar in content and themes. The main focus tends to be on the reform of FIFA and the implementation of policies and strategies to improve the transparency of governance. All candidates state their intention to be more inclusive and work in partnership with Member Associations. The voting will be by secret ballot at the Extraordinary Congress due to be held in Zurich on 26th February. All 209 Member Associations will have one vote. The HKFA President will cast the vote on behalf of the HKFA. Although the Electoral Committee has yet to confirm the arrangements, it is assumed that to be successful in round 1 of the voting a candidate must secure two-thirds of the eligible votes. If a second or subsequent round is required, the successful candidate will just require a simple majority. It is quite possible that candidates might withdraw their candidacy prior to the actual election. Furthermore there will be Confederation meetings the day before the election takes place. So for example, the AFC is due to meet on 25th February. On the day of the election the standing candidates will have an opportunity to address the Congress and to make their case for election. Based on the candidates’ profile and proposals contained within their Manifestos football can expect a big change whoever is appointed. I believe that there are five capable and credible contenders and whoever is elected, FIFA is on the verge of positive change. There has never been a better or more opportune time to rebuild the leadership, executive and administrative infrastructure of FIFA and with it the credibility that has been lost. The world is waiting and I for one am very excited about the future. Football deserves better than we have had in the past and like all football fans I sincerely hope that we are on the threshold of a new era. · Clear separation between “political” and management functions: The FIFA Council (replacing the FIFA Executive Committee) is responsible for setting the organisation’s overall strategic direction, while the General Secretariat oversees the operational and commercial actions required to effectively execute that strategy. These proposals represent a good start and I have no doubt that the Congress will approve them. I also hope that whoever is elected as President will expand and build on the transformation process. Football needs a paradigm shift and real philosophical and institutional change. Altering the constitution and statutes is the easy bit, shifting the mindset and culture will be more challenging. I will do my small part in helping the new President to give football the governing body it deserves and craves. Bring on the election and let the reforms begin – personally I can’t wait.